An experiment in creation, with some religious views, that shows the reasons why, we may not want, what we think we want. How plans take on a life of their own, and there is no going back. Stories set in modern times are undoubtedly going to come in contact with some sort of authority. In some cases you can limit the official input and continue on your merry way. Some make the authority contingent the main focal point. Amy needed to have a way to show she had an official status. She needed to go through the gauntlet of official inspection, because she had no childhood history. No parents, school records, vaccinations, or any such thing existed for her. Tom knew there was only one thing that could explain a lack of memory on all aspects of her life. A special type of amnesia that involved the whole gamut of interactions from short to long term memory. Showing them going through the testing and raising no red flags gave her an opportunity to be given an identity and with that she could do anything that anyone else could do. This was such a requirement that the first book was dedicated to showing this process from the beginning to end. There was one option I nearly included and that was a suspicion from the investigating officer. I decided that there was not enough evidence and the normal screening took care of that suspicion. Other than establishing her identity, I wanted to bring to light the problem that Children's services is having with funding being cut. It is true here in my area and has been alluded to in other districts in other countries. Child welfare needs to be a priority with every stage of government taking this and making a stand. Amy had a straight forward walk through of the system and required little drain on the resources in the process. She was fostered by the family that found her and that family was prepared to adopt her, so that a minimum of supervision was needed. Only one case worker was needed for her welfare. The school system was a bit more challenging, but with enough input from the different agencies and teachers involved, she was placed in an appropriate level for her aptitude. It was a toss up as to how this would work out. She could have gone with her reported age, her apparent age, or her aptitude testing. There are a number of children in our area that are very mature looking for their age. Even kids within our social group show too much physical development for their ages. 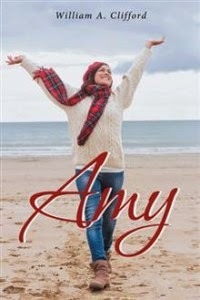 Because this would affect her placement in school and submit her to differing social groups within the schools, I had Amy appear to be older yet just in the start of puberty for the story to be addressed as it needed to be. The next book in the series has very little to do with the authorities as far as Amy is concerned, so we ended book one with her getting her identity. Born in Hamilton, Ontario, Canada. Raised in Ancaster, in the country setting. Attended Ancaster High and Vocational School, where I got my diploma. After that I enrolled in the working world until my retirement. I am married with three grown children and six grandchildren. I build miniatures and like to build landscapes of my own design.